The observation that your homepage and search engine are replaced by searchiy.gboxapp.com might mean that you have installed some kind of unreliable software on your system. As our specialists have found out, it is the most probable that you have installed Gboxapp, which is usually referred to as Gbox Toolbar. Even though it might seem that your search engine and homepage have been altered without your permission, the most likely scenario is that you have agreed with the changes without even wanting to do that. As searchiy.gboxapp.com is compatible with all the browsers, these changes will be applied to Internet Explorer, Google Chrome, and Mozilla Firefox as well, which means that you will have to remove the program that comes together with searchiy.gboxapp.com first and then set your preferred settings. Even though searchiy.gboxapp.com might not differ from other search engines from the first sight, you should know that it is better to choose a more reliable search engine. It is because searchiy.gboxapp.com might not work properly and even take you to unreliable websites if you click on any of those advertisements that will appear on the start page. Even though you decide to ignore them, there is still a possibility to click on them, which is why we recommend getting rid of searchiy.gboxapp.com without further considerations. We believe that you do not need a search engine that will not help you to find the necessary information; thus, continue reading the article in order to find out how to eliminate it. The other reason why you should not trust searchiy.gboxapp.com is the observation that the installer of Gboxapp, which is closely related to searchiy.gboxapp.com, is signed by WEB PICK INTERNET HOLDINGS LTD. 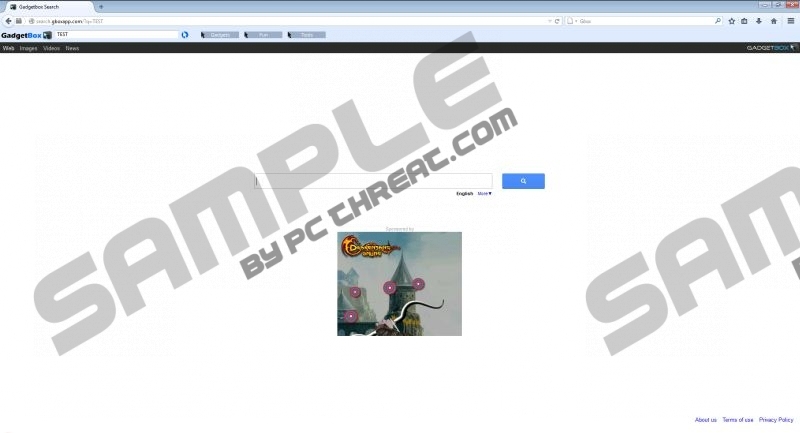 The specialists of pcthreat.com have implemented a research and found out that this company distributes a variety of other well-known unwanted programs, for instance, EZ Downloader, Optimizer Pro, Save Click, and similar. Thus, we do not recommend trusting searchiy.gboxapp.com as well. If you have decided that the security of your system is more important than the presence of searchiy.gboxapp.com, you should know that you can delete it using the instructions that we have provided for you below the article. However, keep in mind that you will have to get rid of Gboxapp first. The easiest way to do that is, of course, to scan the system with an antimalware tool. Our advice is only one – make sure that the tool is reliable prior the installation. Locate the software that you wish to remove. Right-click on the suspicious program. Navigate to the bottom-right corner. Select Search from the Charm bar. Right-click on the program that needs to be erased. When the dialog box appears, click Reset Firefox again. Tap Alt+F to access the menu. Quick & tested solution for Searchiy.gboxapp.com removal.